Notes: Site is now occupied by Jefferson Beach Marina. Re: Julia Michals. the name of the other beach next to Olson beach at the foot of 9 mile road and Jefferson, was Murray beach. I lived on Downing street, right accross Jefferson Ave. from Jefferson Beach. 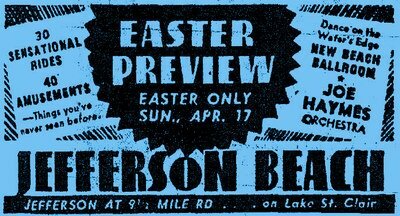 In 1954, I was only 4 years old when I first became aware of Jefferson Beach, because, in the summertime, I could hear the screams from people on the rolly coaster through my bedroom window at night. I was eight years old when it closed. My first memory of Jefferson Beach was being with my older cousins, and them trying to talk me into going in the Fun House. I chickened out on several occasions, before I finally climbed into one of those cars on the track that banged open those tinny metal doors that opened up into the darkness that scared the hell out of me at 6 or 7 years old. I can't quite remember what was in there, but I felt empowered afterwards for overcoming a fear. Actually, it was a pretty lame fu house. One summer afternoon, my father treated my little brother and I to a couple of hours at the park. I remember my dad asking my brother and I to stand and wait near this screen door that he entered. I believe it was a small beer and hot dog stand that was part of the ballroom. He came out minutes later with this huge dixie cup full of beer. I could smell it. He must have knocked it down pretty quick, because I don't remember him having it in his hand while we walked over to the rolly coaster. When we arrived, my father asked me if I wanted to ride it with him. This rolly coaster seemed large, looming, and dangerous. And again, I chickened out. So for some reason, he scooped my little brother into his arms and carried him into one of the cars. When the ride was over. My brother was as white as a ghost. He looked a little bit traumitised. Maybe it was a lapse in judgement on my fathers part, caused by the quick consumption of the beer, I don't know, but that day really sticks in my memory. 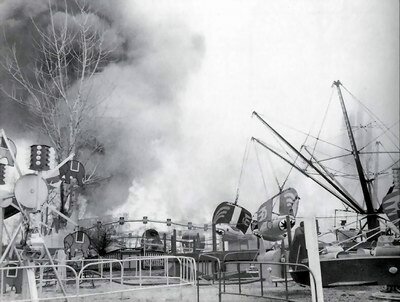 Years later, after the park closed, my mother told me that the residents of St. Clair Shores began to complain to the city about the trashy people the park allegedly attracted, which contributed, along with the 1955 fire, to it's closure. 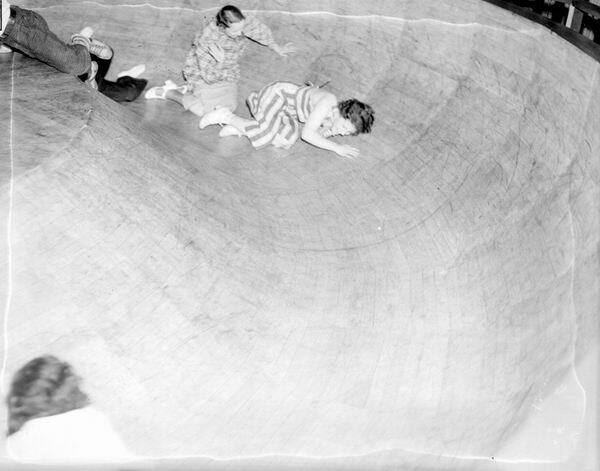 There are numerous urban legends surrounding Jefferson Beach: like the one about the woman who lost her head when she stood up in the car while riding the coaster. This one was repeated endlessly among the kids in our neighborhood. Anyone know if anything like that actually happened. ? I could go on forever about strange things that happened in the park, especially, after it was abandoned. Some of it is not fit for this venue But for the most part, my memories of the fire works on the 4rth of July, the enticing lights, the laughter and screams, coming from the park in the summer, invokes fond childhood memories. I grew up at Jefferson beach. my mother worked for king amusement,witch had amusement rides. Mr stall owned park his wife used to be frozen in ice. It was a great place to grow up in the 50s. the hillbilly up stars in the bath house. speed boat rides. i have run every ride,worked every consign,by I was 14. The fire hurt the park. god bless. mr way burn,buckels the bun. The Coney island you front of park, by his turn around. probley have some great pictures. Hello, Does anyone remember a Native American herbal store near the Jefferson Beach amusement park? I went there two times in the early 1950s when I was four or five. The proprietor was a very tall Native American man. I can remember seeing the top of the roller coaster a block or two from the dirt parking lot of the store. If anyone recalls the name of the store, the street it was on, or even the owner's name, please kindly post the information. Thanks so much! Paula. Where was Olson's beach and St. Clair beach. As I recall they were between eight mile and nine mile, but very close to eight. Does anyone have any more definitive information about them? What happened to them?. Here is what I remember: Olsen (Olson?) Beach was at the foot of Nine Mile. Burkemo's bordered Nine Mile, but was closer to Jefferson. 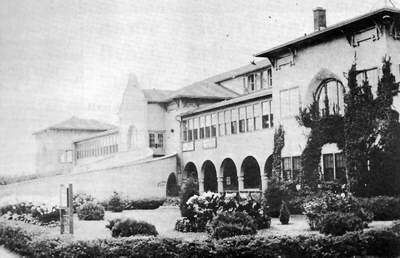 Jefferson Beach Amusement Park was north east (?) of Nine Mile. This was 60 years ago and my compass direction may be off. While digging the footings for the new pavilion at what is now The Jefferson Yacht Club in 2009, we struck the footings of the old roller coaster along Harry Stahl Rd. Work stopped and conversations of fond memories reviled. 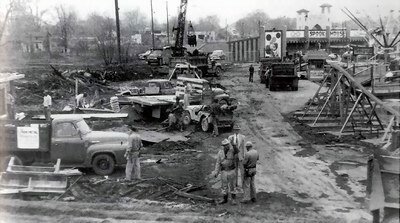 re: Julia Michals: Burkemo's was about a block North of Jefferson Beach, The amusement park was straight up 9 mile across Jefferson Ave. where the high rise apartments are now. There was a Roller coaster, Ferris wheel and other assorted rides also a swimming area at the end of the pier and a huge building that housed a very large wood dance floor. Burkemo's had trampolenes a driving range, go-karts and concession stand. Wasn't there another amusement park in roughly the same area? I THINK I remember two being right next to each other in the 1950s. Please help if you can, I'm wracking my brain over this. Thanks. I am writing a novel about two young people and their families in the Detroit area circa 1950-54. 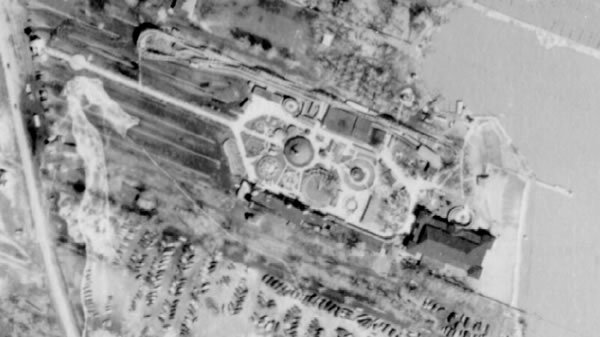 Would someone kindly let me know several things about Jefferson Beach Amusement Park during that time frame, specifically, if possible in the summer of 1953 when one of the story's major scenes will occur: 1. Where was the picnic area located? Were there wooden picnic tables or did people sit on the ground? What parts of the park were immediately adjacent to the picnic area. 2. The name of the company that provided motor boat rides on Lake St.
Clair. How long was a ride and what was the cost per person? These details will help make what I say to be authentic. Thank you for any help you can provide me. Rich Patton Lehi, UT. We lived on Kramer Avenue (north of the Amusement Park) separated from it by an irrigation canal and a large open field from 1946 until 1959. I remember laying on the porch roof at the Bishop's house (they live on the other side of the street and closer to the Park) to watch the fireworks displays on the 4th of July. I loved the big wooden roller coaster and the great fries with malt vinegar and salt. 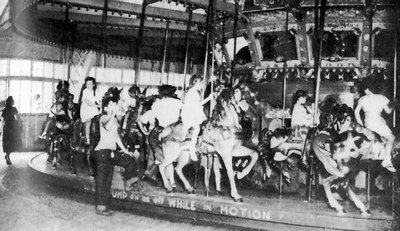 The Merry-Go-Round used to make me dizzy, and we would listen to the music from it and the screaming people on the roller coaster as we settled down to sleep on summer evenings. Grew up near Jefferson Beach amusement park. My buddies and I spent a lot of time during our summers there riding the rides and using the beach. Also had fun at Wally Burkemos golf center which was right there on Jefferson. St. Clair beach was our choice because it seemed to be a little cleaner that Olson's beach. We used to go to St. Clair beach and then swim over to Olson's beach to see the Ladies. Those were wonderful times. I remember going there in the early 50''s. I have a picture of me with my friend Judy from Dominican. We are behind bars holding liquor bottles. What great memories. And after that Berkamos and St.
Clair beach, and Olsons Beach. Never realized how great my teens were. Thanks for the memories. I took a girl there on a double date. On the Tilt-A-Whirl, she got sick and up-chucked. The centrifugal motion carried the stuff all over my friend and his girl. Talk about being in the right place. My Grandmother was a lifeguard at Jefferson Beach, she has some amazing photographs of her time spent there. She was approached on several occasions by news paper photographers (as she is a very lovely looking lady) The photo''s really capture the time and the people of the era. Would love to share. If my Grandma would let me get my hands on them :). does anyone have any pic''s of brownies on the lake??. 5th photo is indeed HARRY STAHL, general manager of Jefferson Beach in the 50''s. http://www. waterwinterwonderland. com/amuse. asp?id=310&type=2. 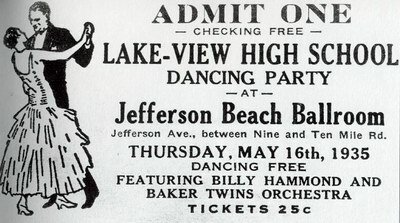 I''m fairly certain that Jefferson Beach Amusement Park was located in Macomb County, not Wayne. I grew up in SCS, my dad worked at JB and it''s there that he met my mom in 1947. EXCELLENT website. LOVE the motel section. Brings back some terrific memories. Thanks for all of your hard work!Eileen. As a child I lived on Hanson Ct. St. Clair Shores. I did go to the beach and I also had two grandfathers who worked for the park one was a gardener and the other did signs (Betz signs). My dad also had worked there, he worked the kiddie rides. The park was really pretty at that time. The entrance had flowers and all bright colors of flags on both sides of the walk in. The picnic area was really nice, we had swings and slides and deep light sand. When I was real young I used to stand and look out the upstairs window and could see the top of the roller coaster, and you could allways hear the sounds of people yelling and alot of noise. It really never botherd us. I liked winning the cupie dolls made out of that thin plastic and they were on a stick with feathers and sparkles or one of the ones made out of plaster, we had so many different things made out of plaster. When I got older, I enjoyed the penny arcade. There was so much to see and do. My uncles used to win dance contests and would bring home cakes. They went there quite often and their friend Betty Hutton would get up on stage and they would let her sing. This is before her hollywood days. I remember making a record at this one booth for my dad in the army. I wish I could go back in time just one time. The park became run down and a wild crowd of people started hanging in there, there were fights and all kinds of trouble. So, mom said no more park. It caught fire and it made me sick to see boats stored in the ballroom. Now when I walk past I think I can still hear the laughter and the yelling of people and the clicking sound of the old woody. By Stan Simek -Part 1- Along the banks of Lake St. Clair is the suburban community of St. Clair Shores. With little industry and no mega-shopping mall, large crowds tend to congregate here only for special events like the annual Fourth of July fireworks or the Memorial Day Parade. However, once, large crowds were aweekly if not daily occurrence in St.
Clair Shores. Now nearly hidden in the midst of condominium developments and a large marina is a building of Spanish design with a floating dance floor. 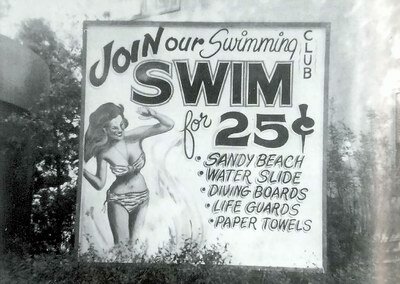 The building remains hidden in a spot where pleasure seekers from Wayne and Macomb counties once enjoyed themselves and where the novelty of electric lights illuminated a beach area for night swimming. 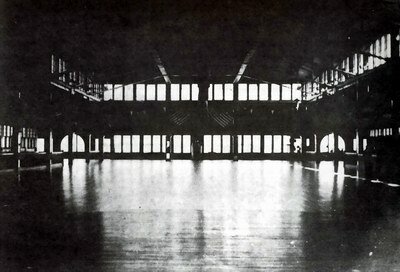 The building is a dance hall and the area that once surrounded it was the amusement park called Jefferson Beach. Closed in 1959 and converted into a marina storage facility, the dance hall and shooting gallery buildings are the only remains of the park. 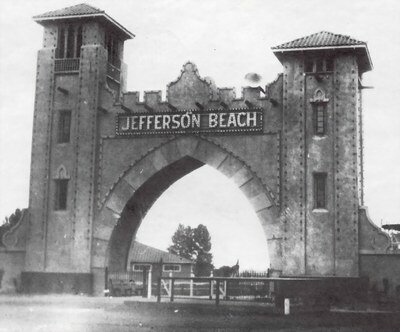 Jefferson Beach opened in 1927 and was constructed at a cost of over one million dollars. However, thats not where the story of Jefferson Beach begins. 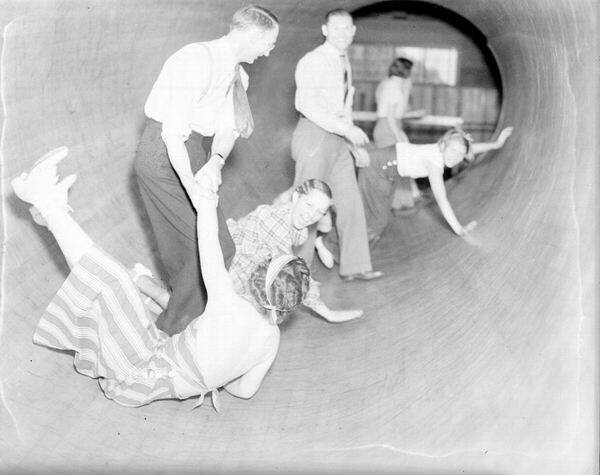 It starts at another amusement park once located near Belle Isle on the former site of the Uniroyal tire plant. 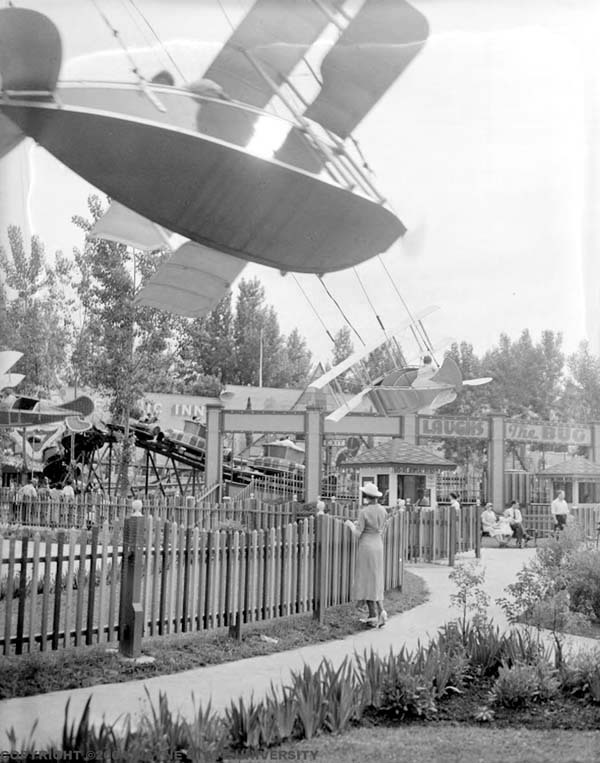 Electric Park was one of the first amusement parks in Detroit. The novelty of electricity and electric lights gave the park its name. 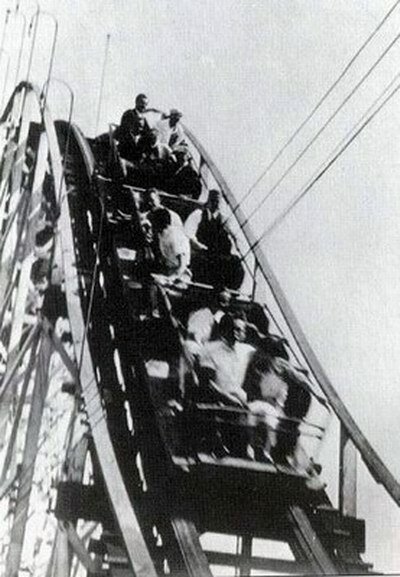 Fred W. Pearce, a nationally-known builder of roller coasters, constructed one of his many infamous rides there, the Trip Thru the Clouds. Two other players at the future Jefferson Beach, Cyril Wagner and Harry Stahl, started their careers at Electric Park. Pearce was an interesting man. 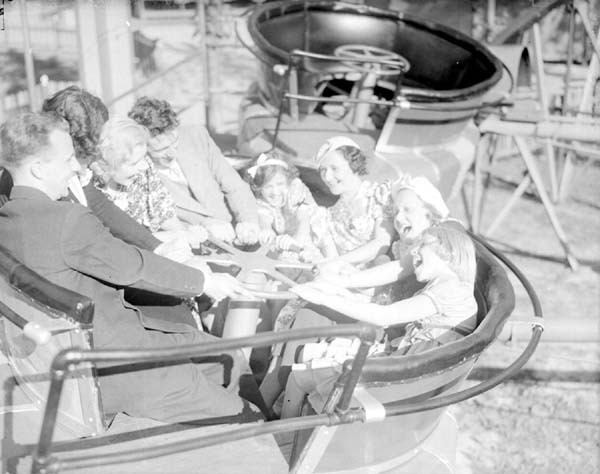 Two generations of his family had constructed roller coasters and amusement parks. At the turn of the century, he and his father operated a steamboat on Conneaut Lake In northern Pennsylvania. 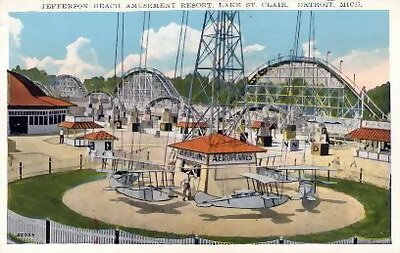 An amusement park called Exposition Park that was later renamed Conneaut Lake Park was located there. Many inventions are attributed to him, including rot-resistant pressure-treated creasoted lumber for the construction of roller coasters. 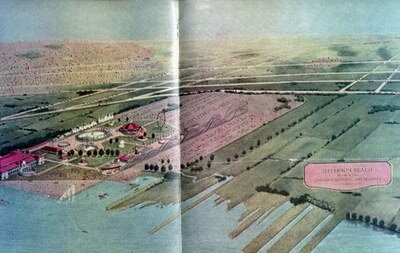 Sometime in the mid-1920s, as the city of Detroit grew up around Electric Park, the noise, crowds, and general commotion associated with amusement parks led to a movement to close the place. That drive succeeded and the park went out of business. 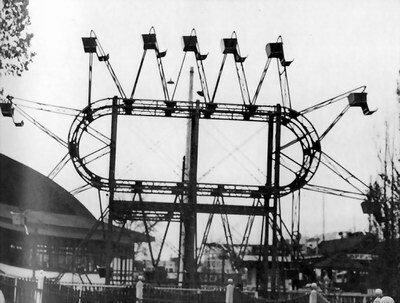 Amusement parks were usually located near the end of transportation lines because owners of streetcars and trolleys sought a way to increase ridership on weekends. They found that locating an attraction at the end of the line was a way to do this. Kennywood Amusement Park in Pittsburghis an example of such a trolley park. When Electric Park closed, Cyril Wagner headed out to Eight Mile Road and Gratiot where he constructed Eastwood Park. The streetcar line ended near the parks entrance. Then Pearce headed out to St. Clair Shores. Why he chose Jefferson near Nine Mile for his next amusement park is unknown. Perhaps his memory of Exposition Park influenced Pearces decisions to locate and design Jefferson Beach as he did. Pearce selected George Haas, a local architect, to design his new park. (Mr. Haas is featured in Volume 3, Number 2 of our Muskrat Tales.
) Construction began in early 1927 and like Electric Park, Jefferson Beach would feature a system of electric lighting so even the beach would be completely illuminated for night bathing. White sand was trucked in from the shores of Lake Michigan to enhance the beach. 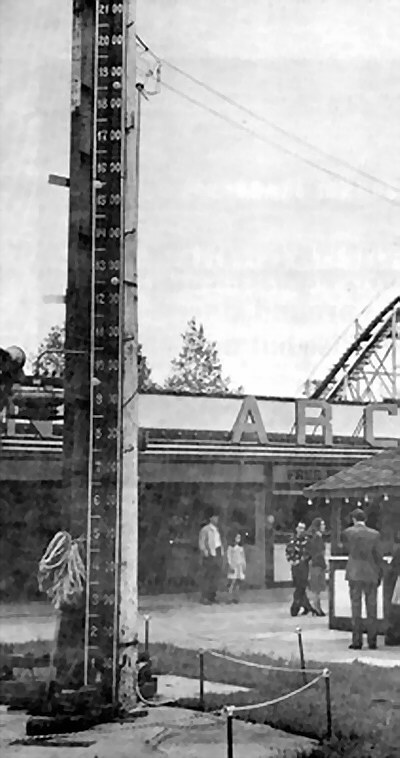 -Part 2- No project of Fred Pearce would be complete without the requisite roller coaster and Jefferson Beach would have a large one. 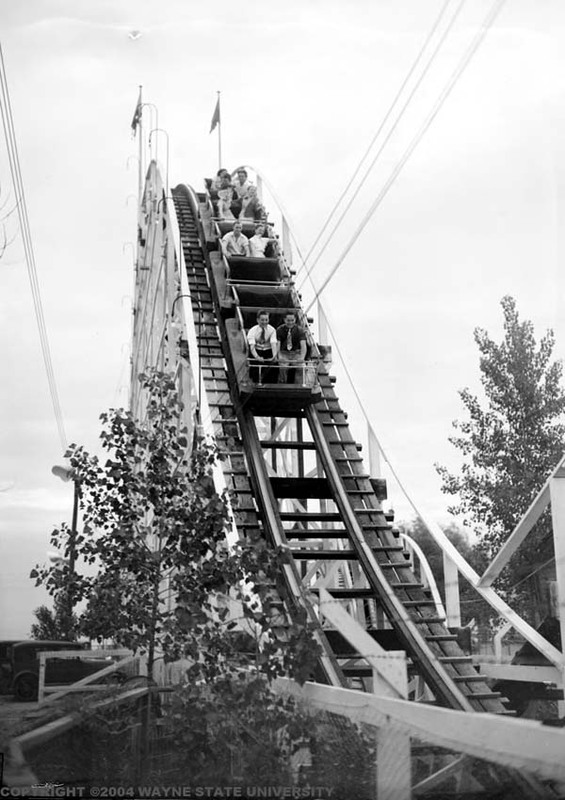 Just north of the dance hall and constructed in a straight line toward Jefferson Avenue, the out-and-back coaster was built at a cost of $80,000 and was considered the longest in Michigan at nearly 1,000 feet! North of the coaster would be the picnic grounds and baseball diamond. 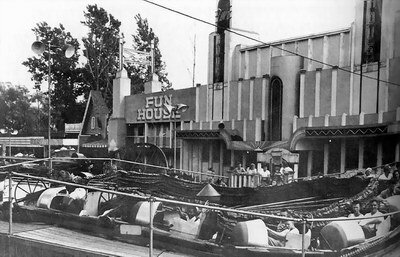 The midway and rides were arranged south of the coaster, and parking ran the entire width of the park along Jefferson Avenue or just about anywhere drivers found space to park. 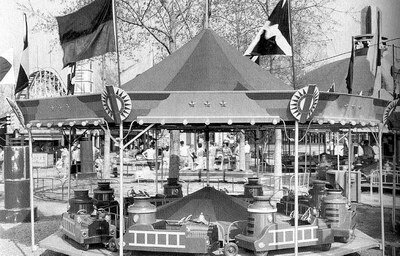 The Merry-Go-Round constructed by the the Philadelphia Toboggan Company at a cost of $35,000 was located in the center of the parks many rides. (These Merry-Go-Rounds are featured in another article of this issue of Muskrat Tales.
) The parks southern border featured the fun house, archery range, concession area, and photo studio. 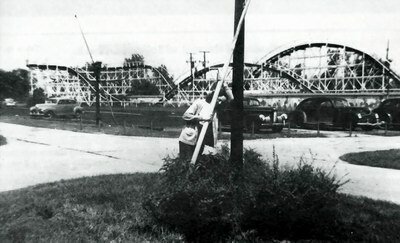 Hundreds worked on the park to complete it before the grand opening on July 2,1927. Art Blacks orchestra would provide the music at the opening, but not at the still-incomplete dance hall. Another bit of information that captured my attention was the notion of a floating dance floor. During a research visit to Jefferson Beach, Judge Crouchman encouraged me to drive my car up a ramp into the dance hall. On the way, it occurred to me that I was driving my car onto the second floor of of a building that had a wooden floor and was nearly 70 years old! The second floor, which is now used for storage of cars and boats, is still supported by giant wooden beams that once accomodated crowds of 4,000 to 10,000 revelers. The dance floor itself has a unique feel and spring. I cannot explain the sensation, but now I feel I understand how a floating dance floor feels. The parks original Ferris wheel I called the Swooper was not a real Ferris wheel in the classic sense. Instead of a large round wheel, the Swooper was oval in shape. A round ferris wheel rotates, but the Swooper did not. It remained stationary while steel cables pulled the seats attached to the steel cables pulled the seats attached to the steel brackets around the trunk core. Because of its oval design, more cars moved into a boarding position than in a traditional wheel, making the ride easier to load and unload passengers. The arch collonade entrance to Jefferson Beach which was a landmark for the park until it closed was not the original entrance. The first arch which was constructed of wood and was 50 feet tall and 24 feet wide was destroyed by fire. 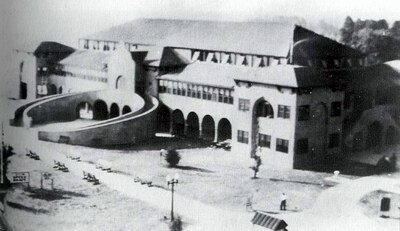 The Moorish design arch burned down shortly after the park opened in 1927. 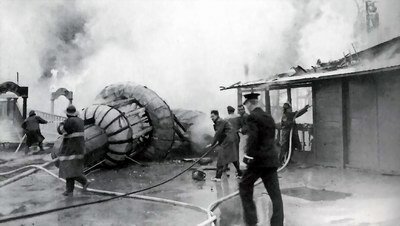 The cause of the fire was unknown and remains a mystery to this day. Only two people were present on the site at the time of the blaze: John Goss, a night watchman, and Edward Schudnich, a pump house worker. Goss noticed the fire when he was talking to Schudnich and phoned the fire department. The arch was quickly engulfed in flames and could not be saved. Written accounts claim Goss believes the fire was caused by spontaneous combustion involving several cans of paint stored near the arch. Defective wiring was ruled out since wiring the arch structure had not even been started. Firemen at the scene believed the fire was deliberately set that conclusion is still supported by a few people familiar with the park at the time. However, who set the fire and the motive remain unknown. During 1940s both the Army and the Navy operated recruiting booths at Jefferson Beach. During this time the Wagner family, owners of Eastwood Park, purchased Jefferson Beach to eliminate the competition. The park was subsequently closed for two years but reopened in 1946 with Harry Stahl, an interesting and popular man, as its general Manager, However, more changes lay in store for Jefferson Beach. Alvin Wagner, the marinas present owner, said that Jefferson Beach never made any money. 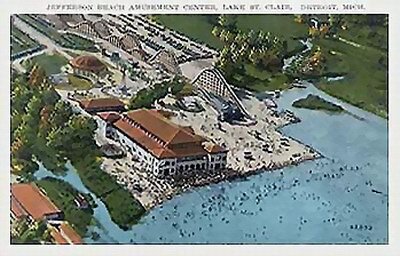 Prior to World War II, St. Clair Shores was a summer resort community, but in the post-war boom, the city was growing rapidly, On April 15, 1955, a huge fire swept through Jefferson Beach, causing damage of nearly $100,000. 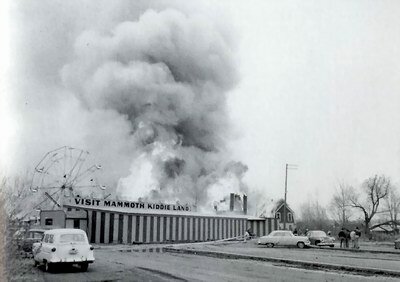 The fire destroyed the fun house and an adjoining concession building on the south side of the park. Although the park remained open for another three years, it was the beginning of the end. The park business began changing in the mid-1950s to include about 500 boatwell facilities and the focus of operations became the sale of boats and marine equipment. A marine gasoline service station and facilities to service boats were constructed. With the successful birth of this full-scale marina, the business closed as an amusement park in 1959. Remaining park structures were razed during that summer and expansion of the marina was rapid. 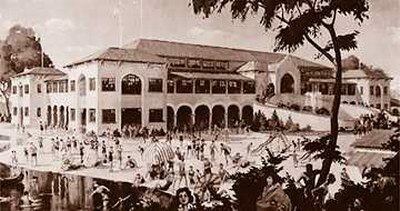 Today Jefferson Beach Marina offers few clues about the amusement park that once existed there. The dance hall remains and is visible from Jefferson Avenue. The road that travels into the marina carries the name of the man who managed the park for years, Harry Stahl. The shooting gallery building on the south side of the park still stands, bullet holes and all. The giant cement block that anchored the Tumble Bug ride is still there. Nothing else remains that would indicate an amusement park once operated there. Fred Pearce, the park founder, died the year the year the park closed. But if you have been around for a few years and grew up east of Woodward, chances are you harbor fond memories of a visit to Jefferson Beach at least once in your youth. My mother lived on Doremus, in St. Clair Shores, a short cut to the park. She said it was trememdously busy during the summer. There was no admission charge, just fees to go on the rides. Her favorite thing to do was to watch the boat rides.